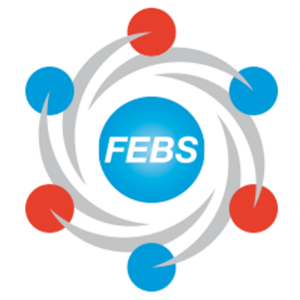 A redesign of the FEBS Network’s profile pages – the pages representing each individual and organization registered on the site – has just been released, with a few new features to encourage people to grow their networks and expand their reading. In the near future, we are also looking forward to the inclusion of a section where you will be able to list some of your scientific publications, and we’ll update this guide then. Your name and photo sit in this top panel. There'll also be a 'Contact' button showing if you entered an email address in the public field of your profile, and a 'Start panel' button that links to a video panel scheduling page to encourage direct interaction and/or recording (as explained here). In addition, a Directory link will appear for contributors to key channels on the FEBS Network, to help people find more experts and writers for a particular area. As before, the ‘About’ text field gives you the freedom to say what you like to introduce yourself or present your knowledge and interests, while the short answers selected below it help people see at a glance your research interests, other expertise/interest and (if applicable) the FEBS Constituent Society you belong to. ‘Online elsewhere’ is a simple list of links to your website address and social media accounts, if you have entered these. We hope these sections will particularly help people explore content from contributors to the FEBS Network; they list up to twelve ‘followers’, up to eight pieces of content (selected by number of views over the past 90 days), and the channels and rooms contributed to. Contributions to private rooms do not show here. By following someone, you can receive an email alert when the individual posts content. These new features display auto-selections based on similar selection field entries to the profile being viewed (appearing when there is a good match). The idea is to help people viewing a profile to find more people with whom to connect and more interesting content to read. We hope you enjoy exploring the new page design.